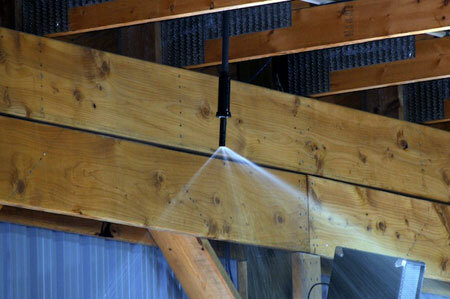 When looking after a horse training arena, one tool that may speed up maintenance is an automatic sprinkler system. We have had great success with indoor and outdoor systems that we have installed and maintained. For indoor systems, we use air and water on a continuous sequence to withstand the cold.